BoundaryMaker is a powerful boundary generating tool. 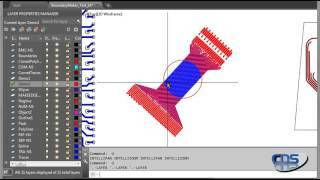 The tool can generate outlines from any combined object shapes on user specified layer with any offset. The tool can even generate outlines with combined objects inside and outside blocks. The tool can also generate outlines with any batched layer group. Boundary Maker will generate outlines from any combined object shapes into composite vectored artwork. This creation of boundary polylines from an assortment of drawing entities are acceptable inputs; open polylines with width, Closed polylines, Circles, Blocks, Lines, Arcs, Ellipse, Spline.